cdcindonesia.com - Job vacancy information comes from one of the companies engaged in the fmcg, namely:Danone is an international company present on all continents. The group holds top positions in healthy food through four businesses: Fresh Dairy Products, Early Life Nutrition, Waters, and Medical Nutrition. Its mission is to bring health through food to as many people as possible. Danone has over 190 production plants and around 104,000 employees. In 2013, the company generated sales of over €21 billion, with more than 60% in emerging countries.Danone in Indonesia is represented by four companies and three categories of business: PT Tirta Investama (Waters), PT Sarihusada Generation Mahardika and PT Nutricia Indonesia Sejahtera (Early Life Nutrition), and Nutricia Medical Nutrition (Medical Nutrition). Danone in Indonesia always strive to reach and serve large numbers of Indonesian people. Currently Danone in Indonesia has more than 14,000 employees, spreading across the province through more than 1.5 million outlets and 21 factory. 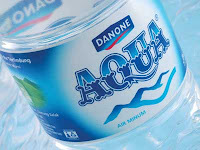 Danone AQUA is a fast growing company of all aspects every year. To always meet the market demand, Danone AQUA focuses to build new plant in all over Indonesia, especially in Sumatra. Join Danone AQUA to contribute in providing healthy hydration to all Indonesian citizens. Become a part of Danone and join the thrilling experience of bringing health through food to as many people as possible. Danone believes that success is not just measured by business results, but also how much we contribute to social progress. With us, you will join a culture where you will be appreciated for your own unique talents. As R&D Innovation Staff, you will be contracted for 1 year to work on Aqua Innovation Project. Are you ready to design your most meaningful journey? Please apply to link below.